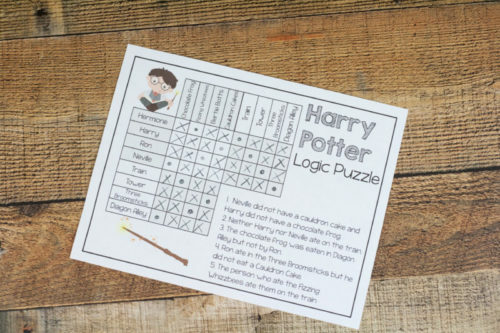 Did anyone else every notice that Harry never had to do math? 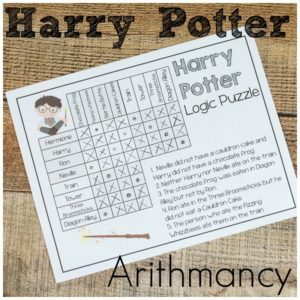 Hermione chose to take arithmancy because…well why not? But no math was compulsory. No wonder my kids think Hogwarts is such an awesome school. 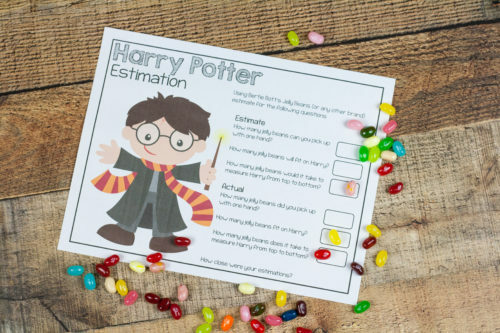 But I wanted to get some math involved in our HP school so, sorry kids. But at least it’s fun this way. There are three differences exercises in this course – two logic and one straight math. 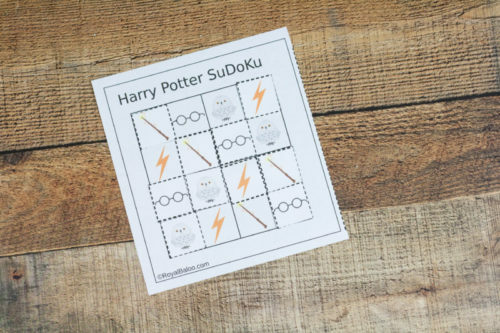 First up, Harry Potter SuDoKu. 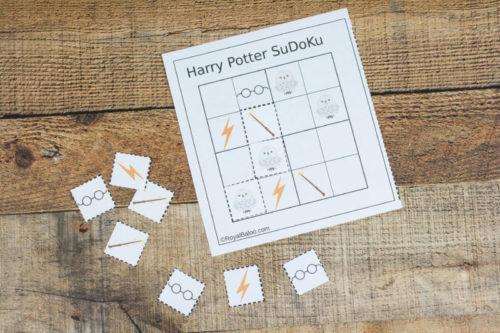 I love SuDoKu and introducing it with puzzles has been amazing for my kids. They enjoy figuring out the puzzle, especially when it involves fun themes. As per usual, there can only been one of each picture in each row, column, and set of four squares (in each corner). The solution in the picture is not correct (oops, my bad!) so don’t follow that. I wanted to make sure to include a page that was more math than logic. 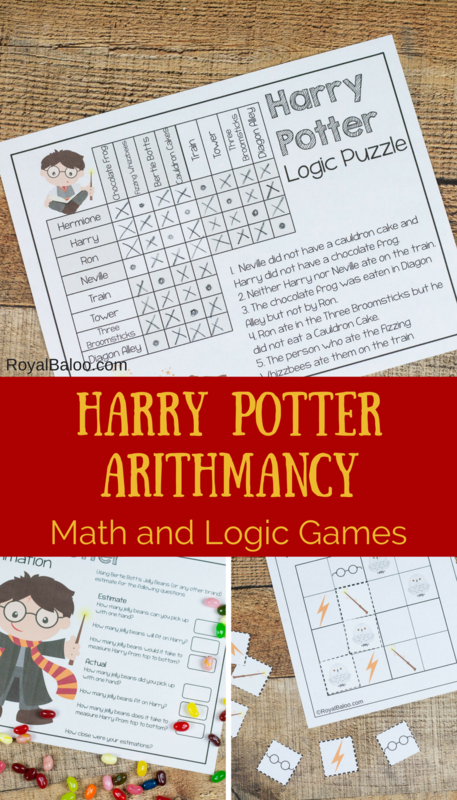 I love logic games, but math was important to fit in. My kids jump at the chance for candy, so I knew involving some Bertie Bott’s Every Flavor Beans would gather some excitement. 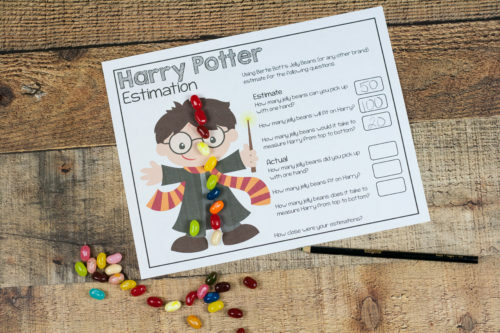 Grab a bag for this page (or just use whatever jelly beans you can find and pretend they are Bertie Botts). This page is all about taking an educated guess and estimating. We found that we can hold a lot of jelly beans in one hand. Apparently we’ve all been trained well.